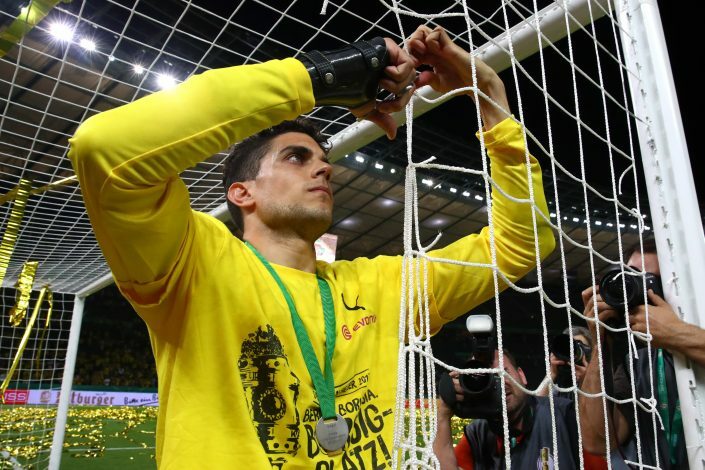 Manchester United’s links with players seem to be a never ending story, and the latest to join the list for the summer is Borussia Dortmund defender Marc Bartra. According to journalist Gerard Romero, Manchester United have shown interest in the former Barcelona player, after he recently tweeted that United manager Jose Mourinho has asked Dortmund about the defender’s situation at the club. Bartra joined Dortmund last summer, and he featured in 23 games for Dortmund last season, after having played more than 100 games for Barcelona previously. The 26-year-old was injured in the bus attack on Dortmund’s team bus towards the end of last season, whilst the team was on its way to the first leg of the Champions League quarter-final against Juventus when the explosion occurred. He is said to have recovered after a successful surgery on his right arm, and is supported by players and fans alike. Meanwhile, the Red Devils have already bought Victor Lindelof from Benfica to add more depth in central defence, with United already having the likes of Eric Bailly, Chris Smalling, Phil Jones and Daley Blind. The versatile Marcos Rojo is still injured though, and will be available only from December this year. Reports claim that one of Chris Smalling or Phil Jones is likely to exit the club, although the club has received no bids for the pair yet from any side. Both Englishmen have been an integral part of the team for many years now, and the next few weeks will tell us if any of these two defenders bid farewell to United.